If you meet her in the winery there are all the chances, you’ll never realize who you’re dealing with. Unless you know who she is and what she does. At the end of quite a young winery visit in Maremma the owners told me they’ve forgotten one minor detail. Which one? “Well, our enologist — she also makes Sassicaia”. That’s how my acquaintance with Graziana Grassini started. Once in a while you meet people unspoilt by the great names they work with and greatest wines of the world they drink on a daily basis. Well, Mrs. Grassini who has to professionally spit most of Sassicaia she tastes, is a pupil of the legendary winemaker Giacomo Tachis who passed away after a long fight with illness in 2016. The Italian press prefers to call her nothing less than “Lady Sassicaia” and here she is, “the Lady”, to talk about wine and her philosophy, kindly reminding me not make a mistake if mixing Tenuta San Guido with the other wines she produces. Like this is a possibility. Graziana is sitting next to me on a cool March evening, Maremma vineyards are still sleeping, some final pruning takes place here and there, some new vineyards are being planted. She talks in a charming voice, rom time to time asking for help with her English, but visibly enjoying a chance to practice the language. Of course, I asked about Giacomo Tachis, the famous winemaker who’d put a great part of his life into Sassicaia bottles. “Giacomo Tachis and myself were very similar, he was keen on biochemistry and the chemistry of wine. We didn’t only work together, but were also friends”. I’m especially interested in the way Graiana approaches winemaking and in her philosophy. The answer is surprisingly honest and clear. “I believe winemaking is both art and craft. Technology and talent are combined into one. In the end it’s us, humans, who make wine. But the fact that you have all the technology on your hands does not mean that you will produce great wine. There are many oenologists who are technically too savvy, but one should also be capable of feeling the wine”. I’m very keen to understand what it means to “feel the wine”. Graziana is explaining with a smile: “When I taste the grapes I already know what kind of wine I can produce from them. Advanced tastings skills and technical background are also the must-haves. You can call it the ability to find out what the grapes want and need. They are asking you to help make good wine out of them. And blending different grapes is like a mosaic that comes to form a single image. This ability to imagine the finished product — is the very heart of the art of winemaking”. Knowing the prices for Sassicaia I’ve always wanted to know how it makes the winemakers feel that only a bunch of people can afford their wines, needless to say, to understand them. “I do hope that those who drink Sassicaia are capable to understand the wine. And if they understand what they are drinking, that means they are drinking emotions. In the end, human taste is not yet fully researched. Different people have different tasting abilities. Me personally — I have a very strong sensitivity to bitter, this is determined by genetic factors, some people have it, others don’t”. Speaking about the relations between Marquis Incisa della Rochetta and Giacomo Tachis, she explains: “Sassicaia came into being in the mind and with the efforts of Marquis Mario Incisa della Rocchetta, not Giacomo Tachis. The latter rather confirmed the Marquis’ assumptions that the wine would have had great potential. The wine was aged in oak and Tachis was truly the oak master, he greatly helped Mario in working with wood. In 2009 Tachis retired, he was feeling too bad to fully participate in the winemaking process. The Marquis and the estate manager came to me to taste the wines and talk. In 2009 I started my work as their oenologist”. With prominent wines of that caliber I’m curious if there actually was something to improve in the cellar when Graziana took over Tachis. “Back in 2009 I did things to change some processes in the winery, especially when it comes to cleanliness and the selection of grapes. We tasted wines with the Incicas selecting only the best quality which was not the practice prior to that. We later began to make grape selection for the second and the third wine, Guidalberto and Le Difese. Before that all the grapes were going into the main wine”. 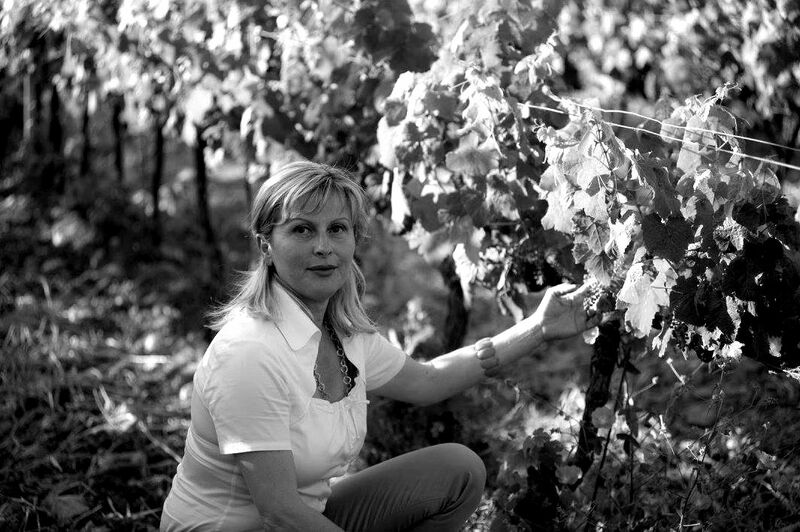 Besides Tenuta San Guido Graziana works with several other wineries which makes me curious about the style she applies to them in relation to the infamous wine. She replies: “Simply because I know the style of Sassicaia so well and have been working with it for so many years, doesn’t mean I aim to copy it in my other projects. Other wines that I do — they are like kids, each one is different from the others and I love them all. Tenuta San Guido didn’t hire me exclusively, there is no such tradition in the area. Tachis could work with any winery, he was free in this respect”. She then adds: “I think Marquis Incisa doesn’t want to hire “winemakers”, for them it’s rather a wrong word, implying that the style of his wine is determined by someone else. He wants to make his wine according to himself”. Remembering how difficult it is sometimes to work with charismatic people, I asked Graziana how they treat the disagreements if those happen at all. “For Marquis Incisa I am a wine consultant. I inform — he decides. We normally agree with each other; of course, we had our disagreements too, even some tension, which we managed to resolve. After time has passed Marquis began to trust me much more”. Before she leaves Graziana shares a little secret about the last moments with her teacher Giacomo Tachis. “What makes a great wine?”, I asked him when he was already fading away. “Great wine is when you close your eyes and see the infinity”. These were some of the last words I heard from him”.